Follow these simple steps to avoid hang-ups in your next drilling project. 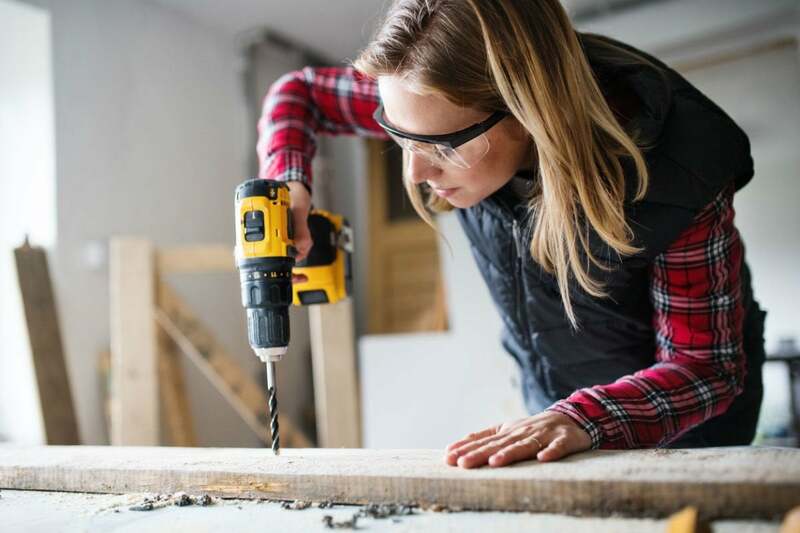 Every homeowner encounters a bit of drilling sooner or later in their list of projects—whether that’s installing curtain rods, building a fence, or mounting shelves to your wall. Fortunately, drilling isn’t difficult and, at least in comparison to sawing, it isn’t particularly dangerous. Still, skilled drillers drill with care to ensure safety and professional results. Study these tips on how to use a drill before you start your next project and you’ll benefit from the same. Steady the workpiece in a clamp or vise. Using clamps leaves both hands free to manage the drill and will prevent the piece from moving as you drill. 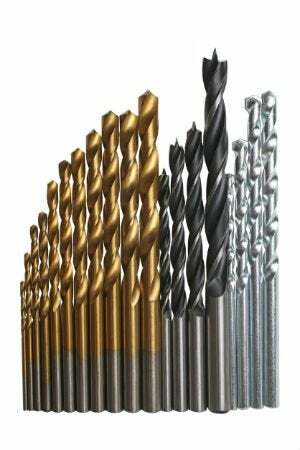 Choose the right drill bits for your project. You’ll always want to check that you’re using a drill bit of the appropriate style and material for whatever you’re cutting. When in doubt, check the packaging for recommendations and restrictions. Generally, a good starter set of drill bits should include at least a small index (perhaps ten drills) of twist drills and a set of spade bits (perhaps six pieces), which may get you through most wood and even some metal projects. But if you’re planning to drill into brick or plaster, you’ll want to search out a set of specialty masonry bits. Learn more about all options for drill bit types in our complete guide. And keep the bits sharp. Pointed drill bits make safe, easy work of many projects, so keep them sharp with the help of a bench grinder. We have the how-to steps here to guide you. First, create an indent where you want to drill a hole. When drilling metal or using a twist drill on wood, you’ll need to establish a precise center point for the hole to be drilled. A punch, or a nail in the case of wood or sheet metal, can be used to make a tiny hollow to start the hole. A pilot hole drilled with a smaller drill may be necessary if you’re drilling a large hole in metal or hardwood. If drilling a pilot hole, tape an “X” over the spot. Painter’s tape stuck on the location for your nail or screw will reinforce the wood and offer extra protection against possible cracking. Start slow. Place the drill bit on the center point indentation. Begin drilling at a slow speed to be sure the bit doesn’t wander away from the center point. Mind your speed as you continue. Slow to medium speeds suit metal and masonry drilling; fast speeds will help you race through wood. Never force the drill. The machine will slow or groan if you push it. Plus, too much pressure is likely to dull the bit (which, consequently, might drive you to apply even more pressure to work) or even break it than to quicken the drilling process. Every inch or so that you drill, pull out the bit and blow it off. Otherwise, when drilling wood, any flakes or chips of wood will get packed into the flutes of the bit, becoming very hot. The hotter a drill bit gets, the faster it dulls, requiring more frequent sharpening. Make the stop-and-cool technique a habit, especially when drilling hardwood. Simply keep a container of cold water nearby and dip the drill for several seconds between every few inches of drilling. Monitor the progress of the drill as it bores. If the drill appears to lug or jams, withdraw it partway, allowing the bit to clear the debris from the hole. As the bit approaches the far side, drill more slowly. 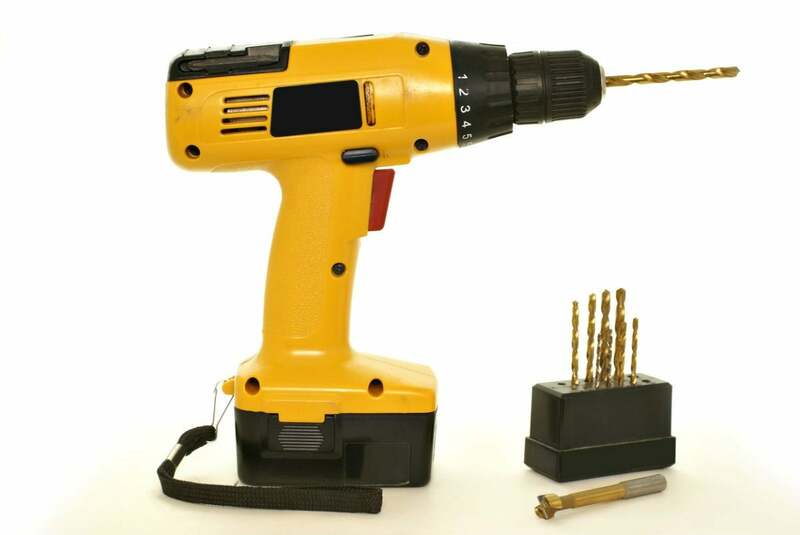 When a drill bit breaks through the far side rapidly—or if you are applying considerable weight to the drill—the edges of the exit hole will probably be ragged, leaving burrs if the material is metal or tearing out large chips from the wood. Sometimes, too, a workpiece that isn’t properly fixed in place will spin on the drill as it passes through the far side. Stop short for a cleaner cut. If you’re drilling a hole all the way through a board to the other side, doing so in one single step will leave the back of the board (where the drill bit exits) looking rather jagged. Instead, continue drilling only until the very tip of the drill bit—not the full width—cuts through the back. Then, turn your work over to the back, set the drill bit in the pierced hole, and finish drilling from this side. You’ll end up with a smooth cut on both sides. Finish off the hole gently and sand for safe, smooth work. Keep two complete sets of drill bits. Some pros rely on a like-new set of drill bits only to start a hole, and then—to keep that better set sharper for longer—switch to their older, sharpened bits to finish the task once the drill hole has been established. Additional reporting by Steffani Cameron.